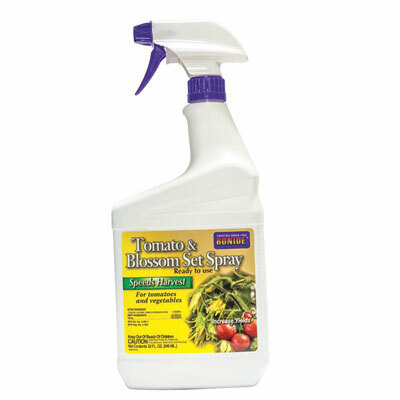 Tomato & Blossom Set Spray | Henry Field's Seed & Nursery Co.
Natural plant hormone increases fruit set, even in poor weather. Treated plants bear earlier. Use on tomatoes, cukes, peppers, beans, okra, melons, berries and grapes. For each offer ordered, get 1 32 oz spray.